BUKIT LANJAN: What will happen to those who can’t think out of the box, can’t change or can’t evolve? What do you think of the above two news headlines? Aren’t they earth shattering? “It certainly is earth shattering for the global oil and gas industry. It’s perhaps the beginning of a global game changer,” Gerakan Deputy Speaker Syed Abdul Razak Alsagoff said. “In fact the signs were there for all to see. The Norwegians had started to think out of the box to free themselves from dependency on oil revenue. “They had invested their wealth wisely overseas and have also started encouraging and giving incentives to those who use electric vehicles (EV),” he added. “Do you think the Malaysian federal government and Petronas are giving any thought to the global oil and gas industry game changer? I think not! “If they did, they would not continue to invest in oil and gas, Petronas would embark on an aggressive business diversification. “It will be business as usual for them until it is simply a disaster and then… blame it on God,” he added. Syed Razak, who is Gerakan’s nominee to contest N.37 Bukit Lanjan in the coming 14th General Election (GE14), said businesses and investors had been trying to bring e-bikes and EVs into the Malaysian market. “All attempts have been rejected or disapproved. Why is that?” he asked. 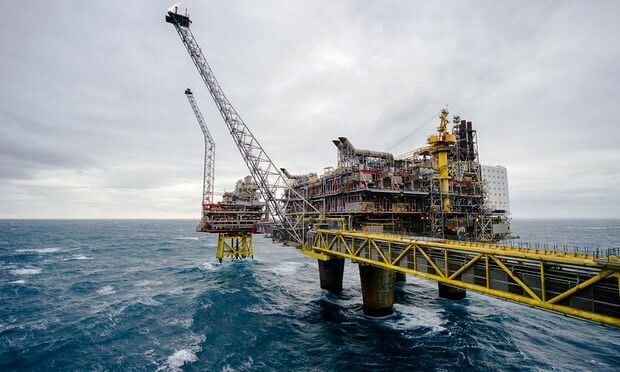 Syed Razak said the federal government and Petronas “are just unable to think out of the box and prepare for the future, just like what the Norwegians are doing now to change and evolve”. “What is the result for those who are unable to change and evolve in this world?” he asked. 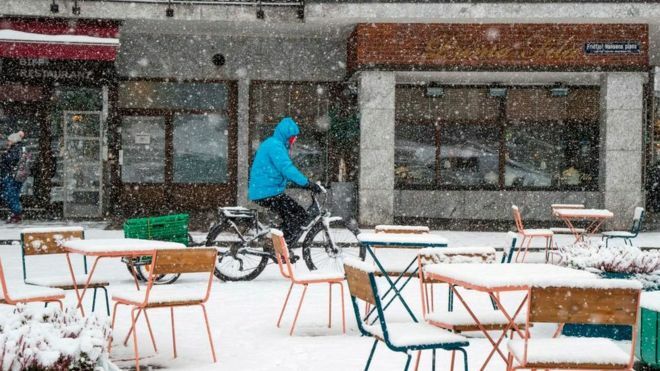 Greenpeace Norway welcomed the central bank’s intervention, but said Norway must now also cease exploring for oil in the Arctic. “Norway is already heavily invested in oil and gas resources, so selling off the oil fund’s fossil stocks will clearly help reduce our financial carbon risk,” said Truls Gulowsen, head of the group. 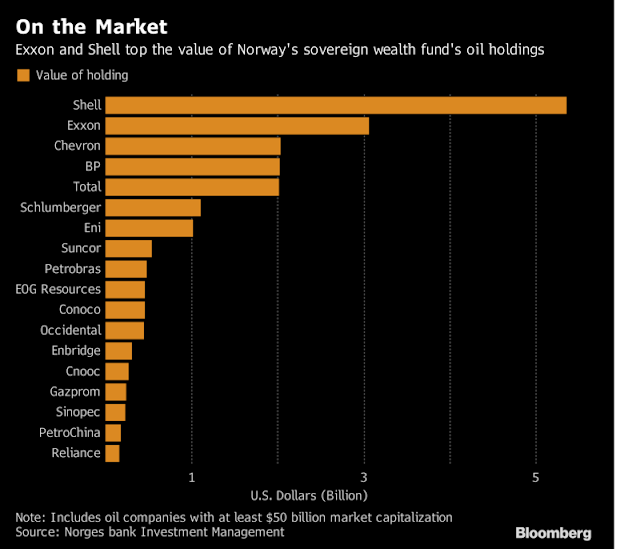 Norway’s largest private pension by value said that if the fund did ditch oil and gas stocks, the action could influence other investors. Bill McKibben, co-founder of climate group 350.org, said the move was “as astonishing as the moment when the Rockefellers divested the world’s oldest oil fortune”. McKibben was referring to the Rockefeller Brothers Fund’s decision to divest from fossil fuels in 2014. 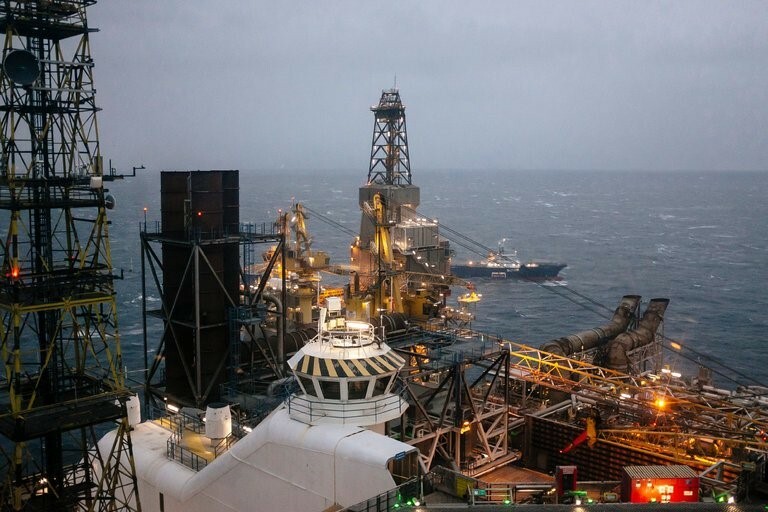 The oil price fell below $30 a barrel in January 2016 during a two-year slump, but has since recovered to just over $60 in recent weeks on geopolitical uncertainty and expectations that major oil-producers will extend production curbs. • Follow Guardian Business on Twitter at @BusinessDesk, or sign up to the daily Business Today email here. - Guardian"
Petronas mana ada otak - otak belacan, directors all thinking of lining their pockets with profits they can get from their golden cow. What the hell do they care about the consequences until the bottom falls out of the barrel? All the signs are there - with the falling prices of crude oil, over-production. They still, don't see it. What? They wanna wait until everything is kaput then only start to do something - that's doing too little too late! C'mon Petronas - wake up, don't 'melayu'. Malaysia will be left behind in this race, then jangan kecewa! !